RNIB has created three new films about diabetes. The first film is about the eye screening process, the second is about how diabetes can be managed if the patient has sight loss and the last film suggests ways people can adjust their diet to suit a healthier lifestyle. It’s very difficult to know if diabetes has started to affect a person's eyes as their sight won’t appear any different. They may not be aware there is anything wrong with their eyes until it’s too late. The only way to pick up these early changes is by having a detailed examination of the back of the eyes. This is called a diabetic retinal screening. Our film shows Linda going for her diabetic eye screening appointment, and she talks about why it’s important. If your patient already has diabetes, they may have to measure their blood sugar levels, and take tablets or use injections every day. This can become a challenge if they also have sight loss. However, it is possible for them to manage their diabetes independently and safely. In this film, Carol talks about how she monitors and looks after her diabetes. South Asian people are more at risk of developing diabetes. For those who are already diabetic, there is also at higher risk of developing diabetic retinopathy. 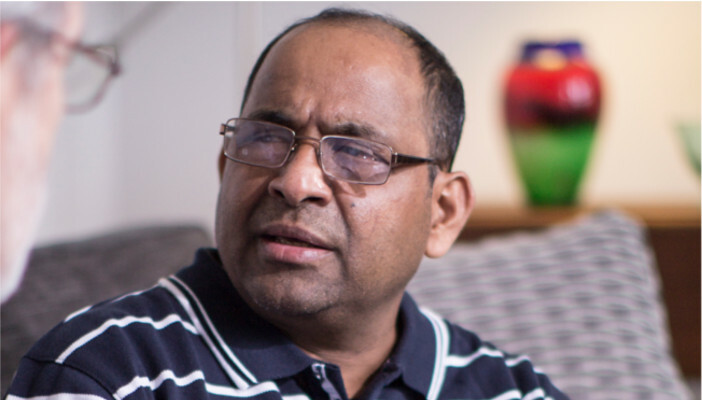 If your patient is from a South Asian community, it’s important that they and their family know about the higher risk of developing diabetes, the sight loss it can cause, and the steps they can take to reduce the risk of losing their sight. Whether they have diabetes or not, there are things you can suggest they do to either reduce the risk of developing diabetes or of getting complications if they are already diabetic. It’s important that diabetic changes are picked up early because if treatment can be given at the right time, it can help prevent sight loss. Read more information about how diabetes can affect eyes in other languages including Punjabi, Urdu, and Hindi from our eye condition information in other languages page.